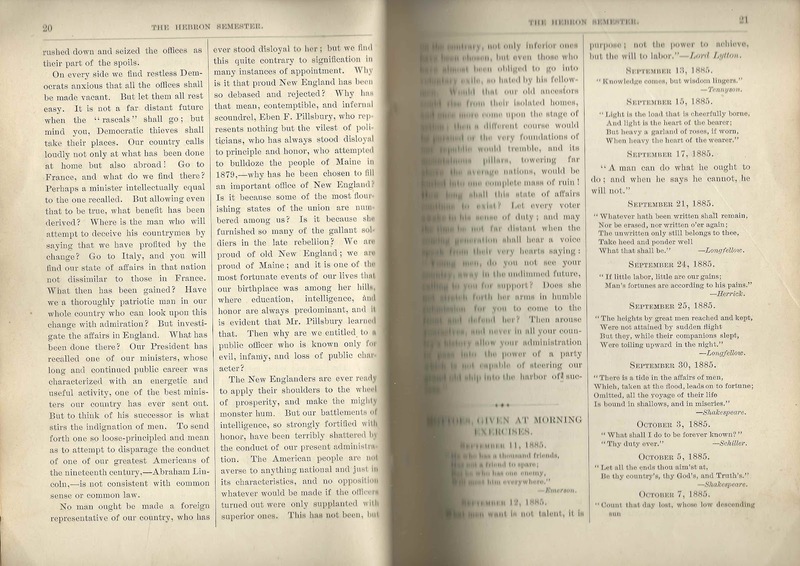 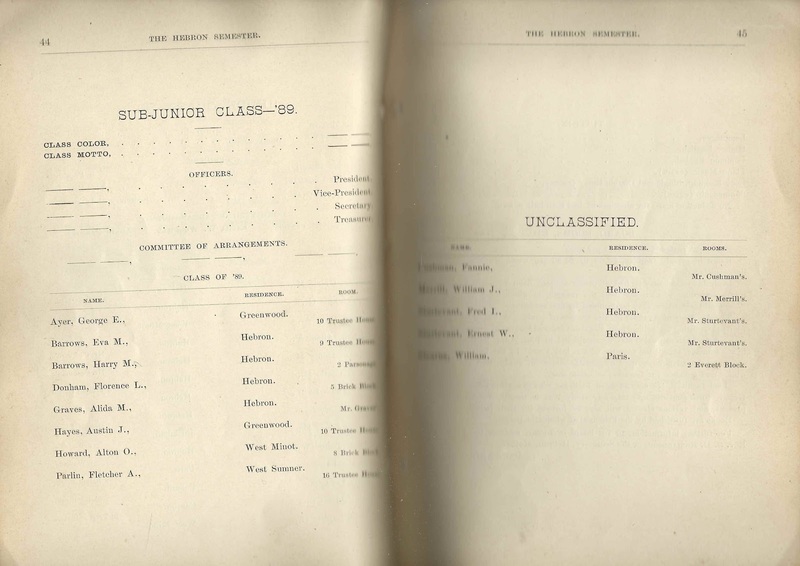 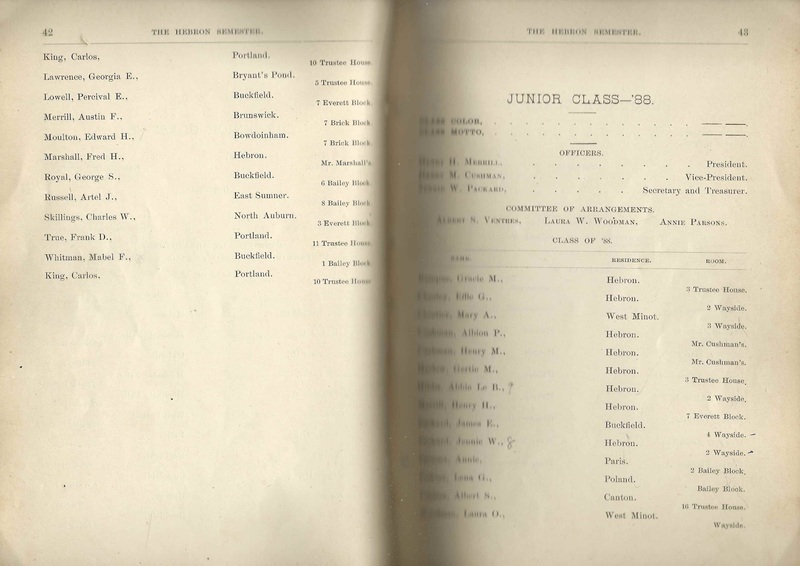 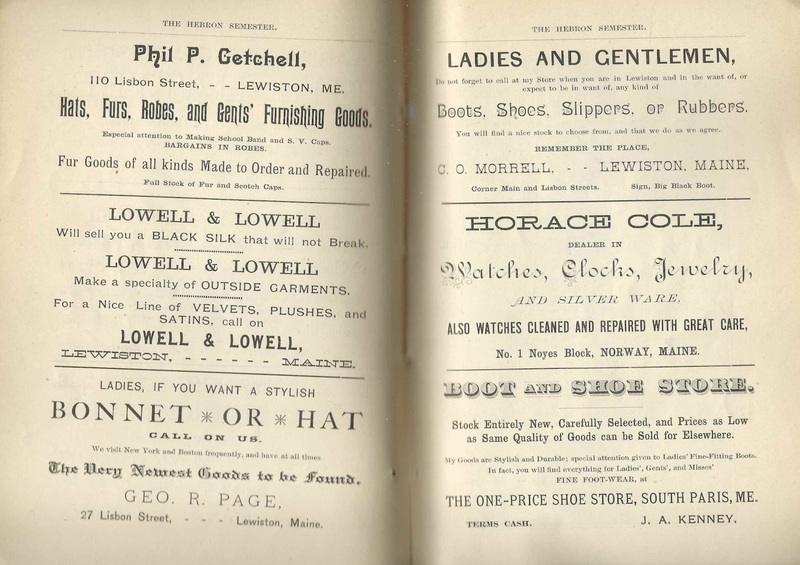 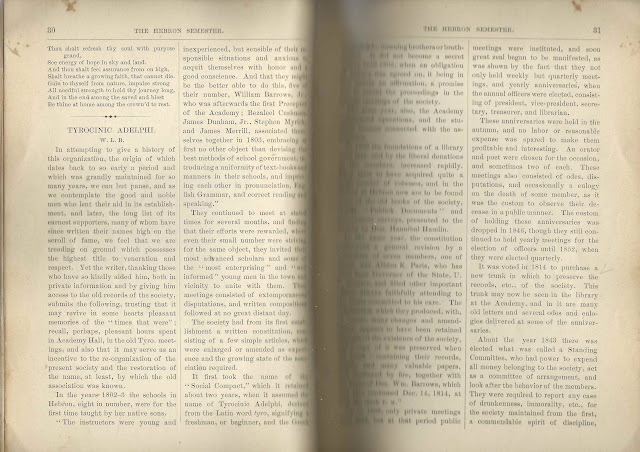 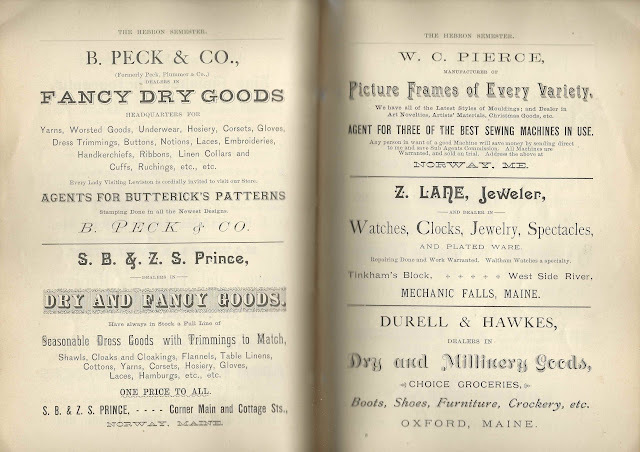 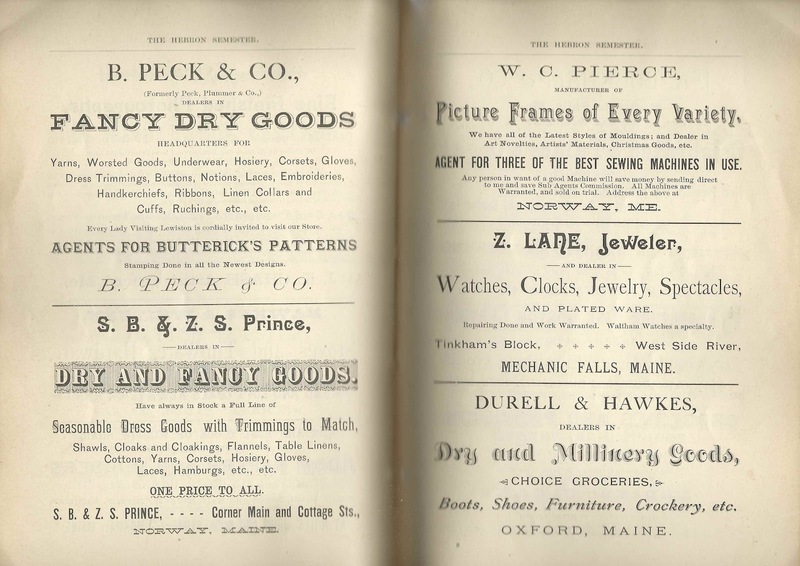 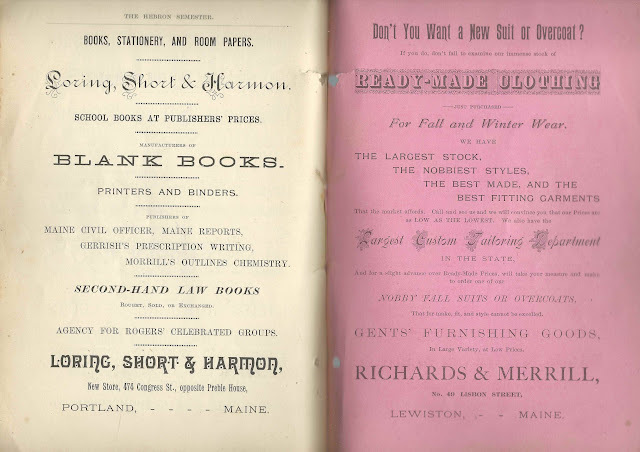 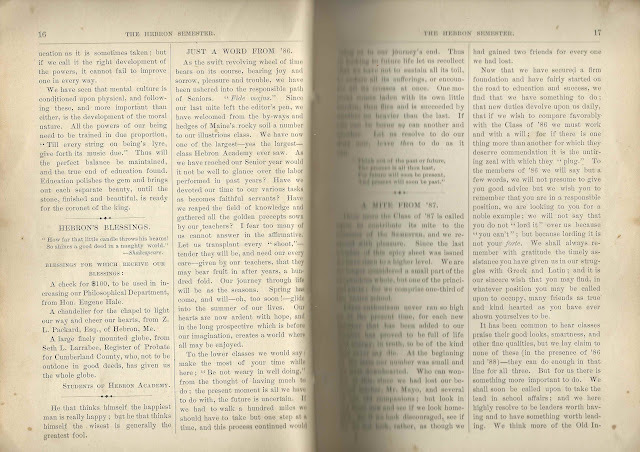 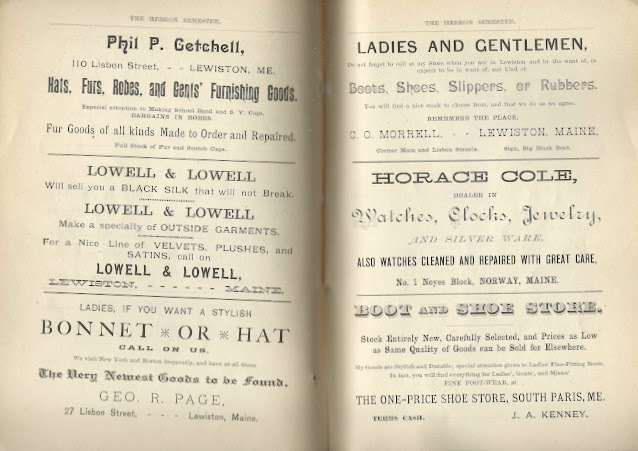 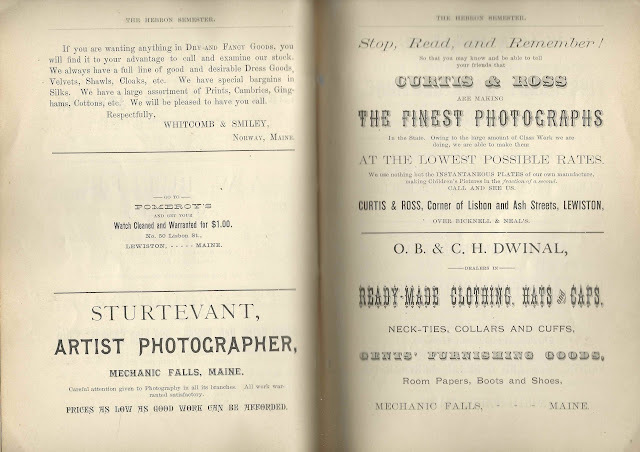 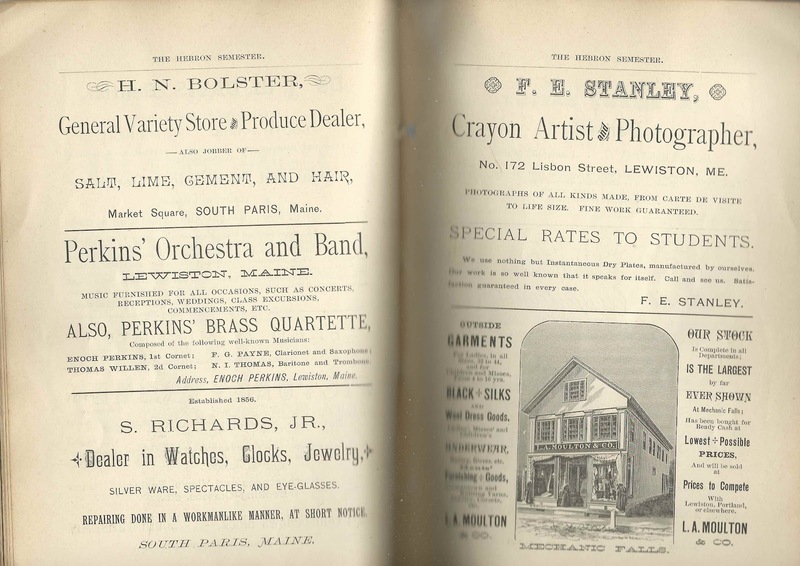 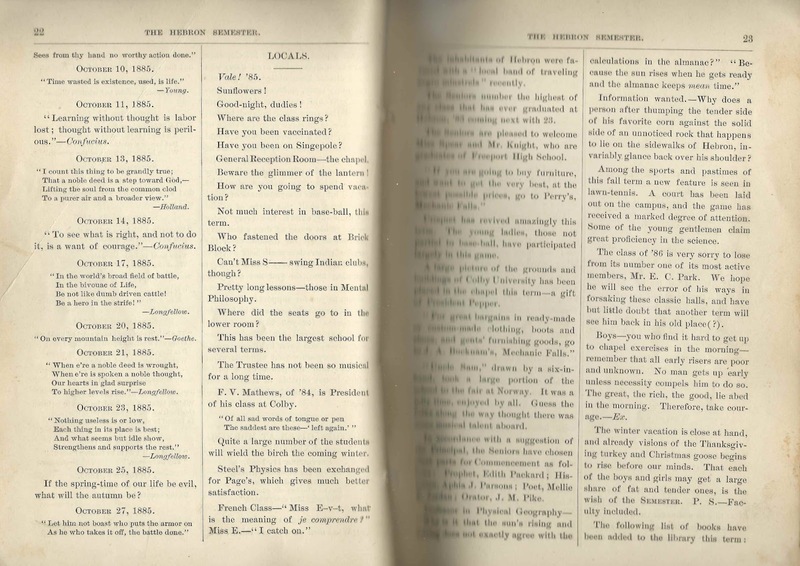 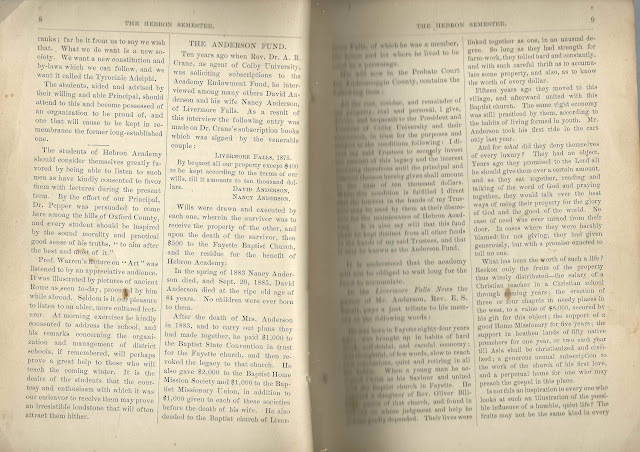 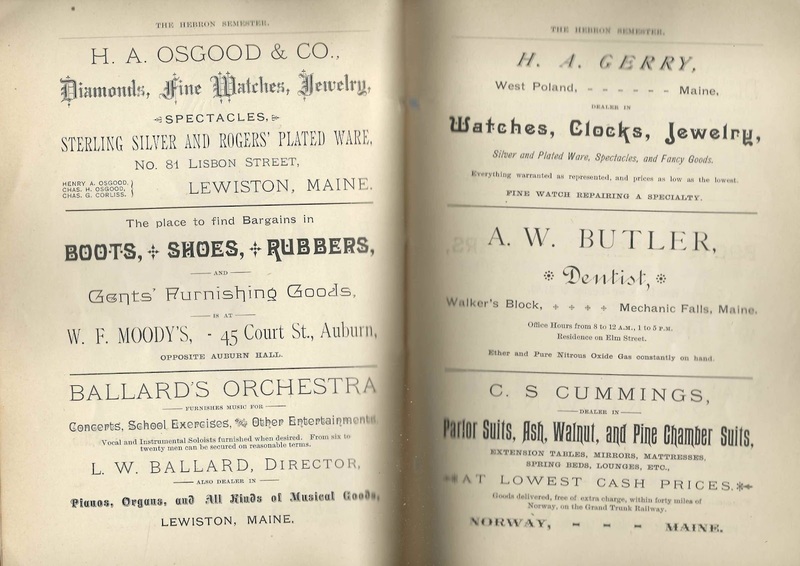 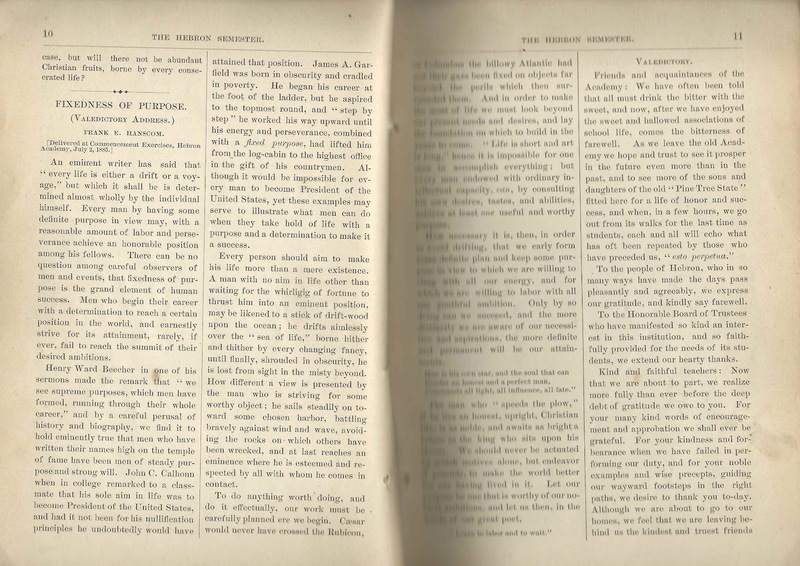 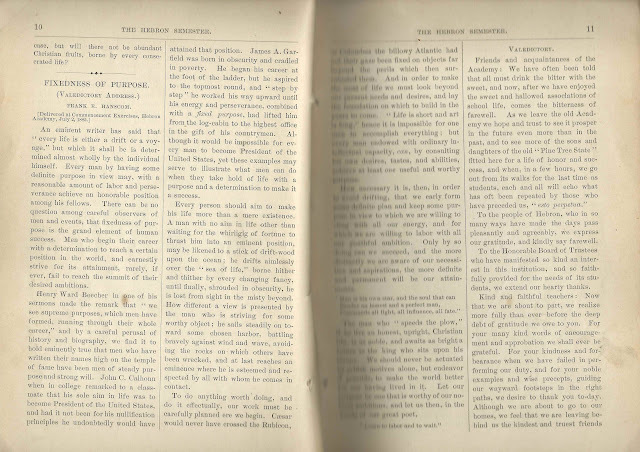 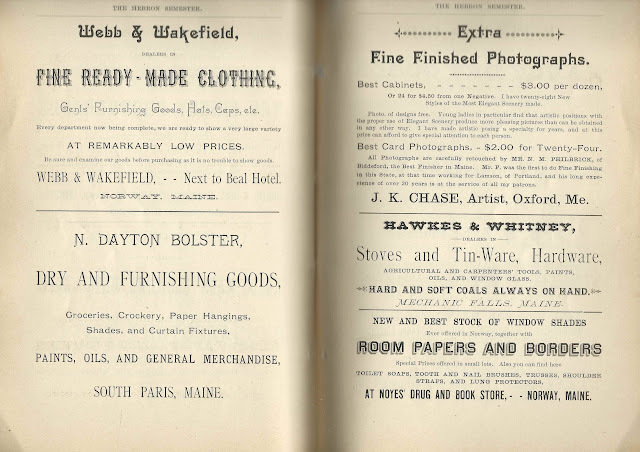 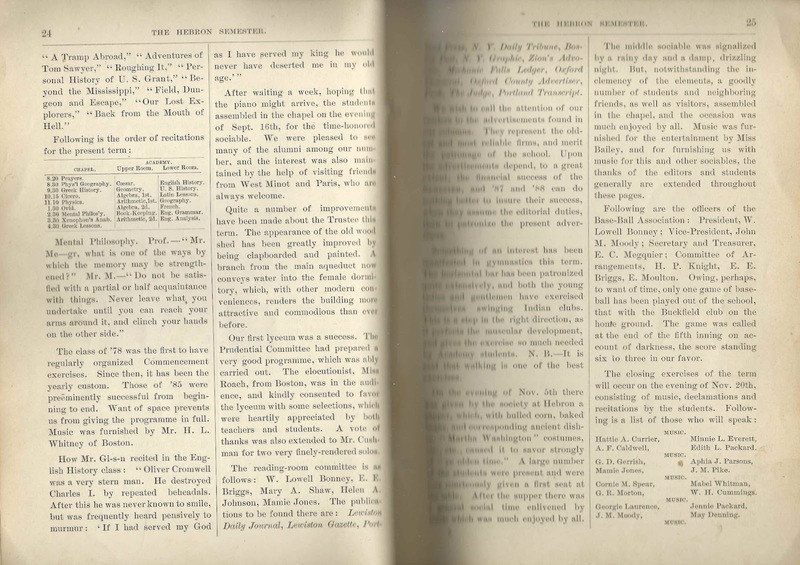 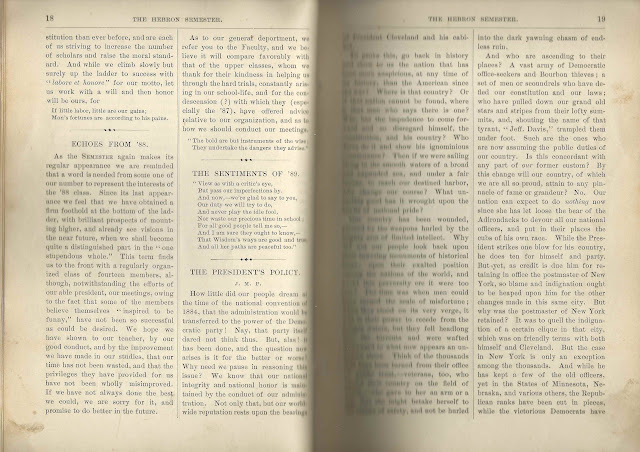 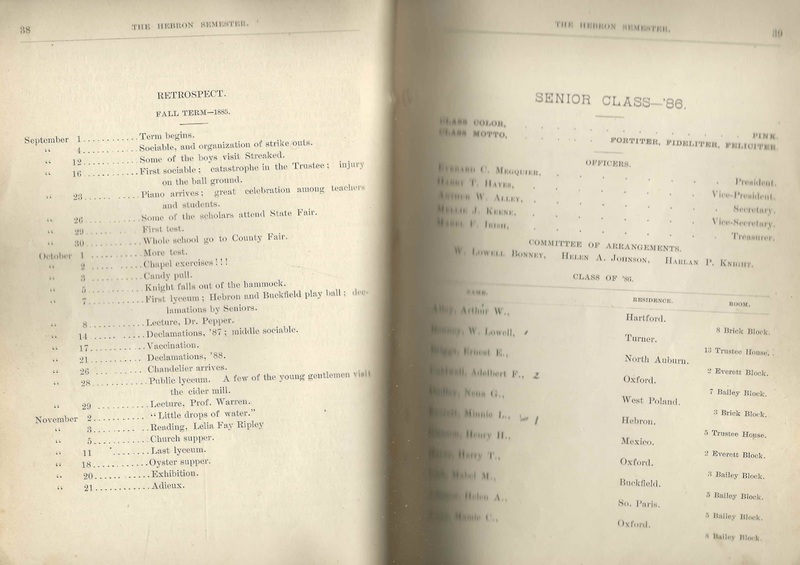 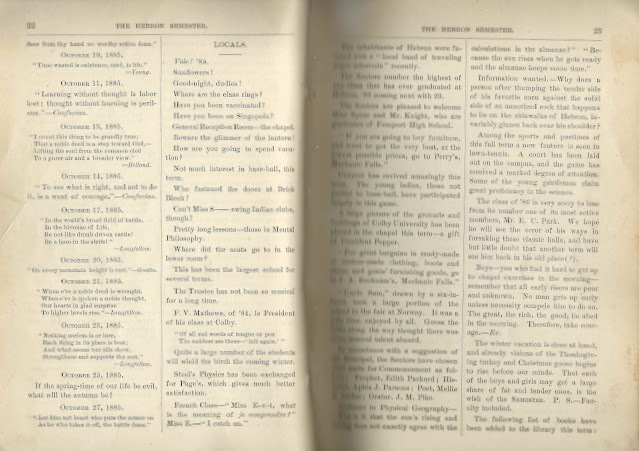 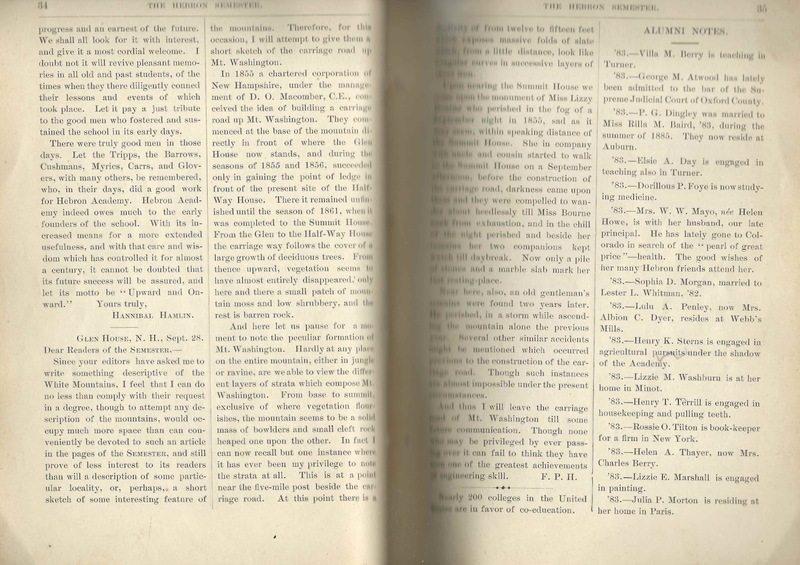 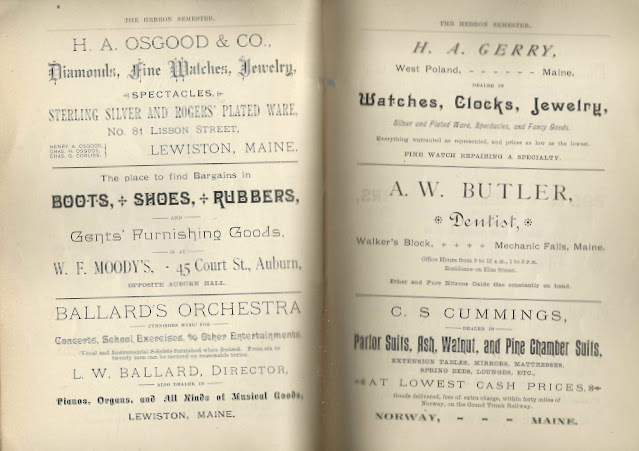 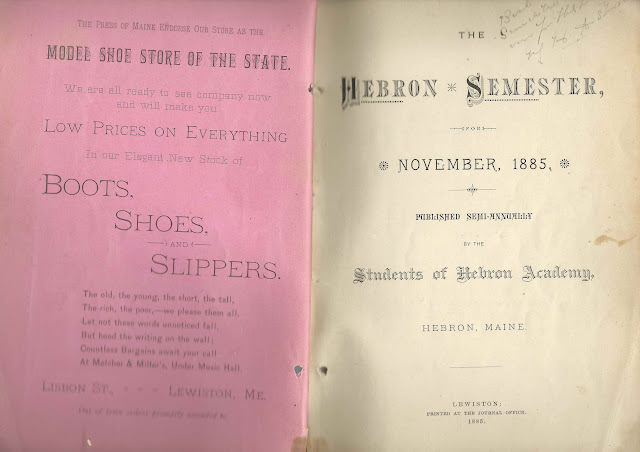 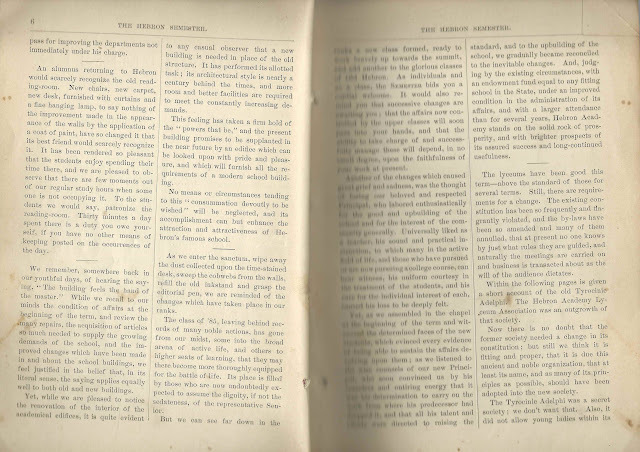 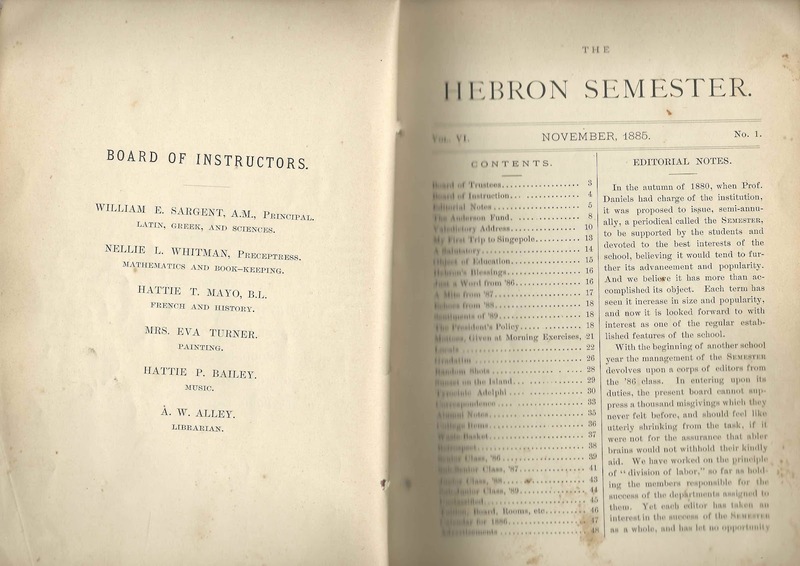 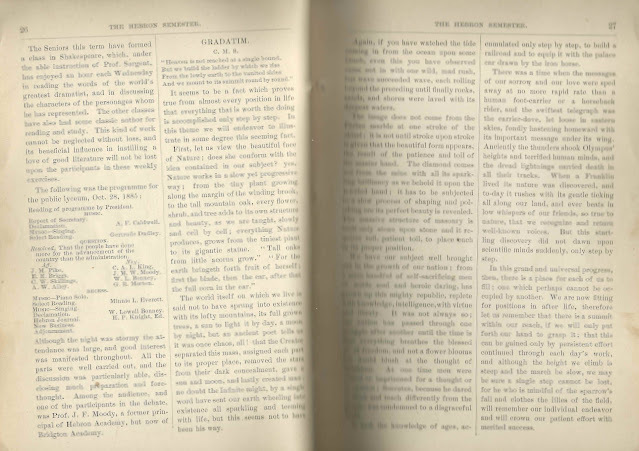 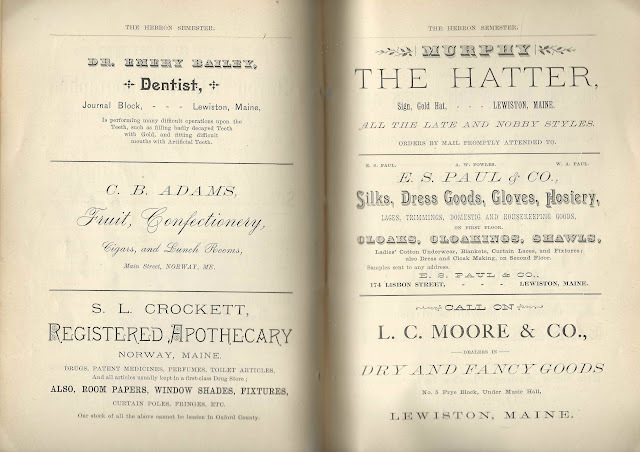 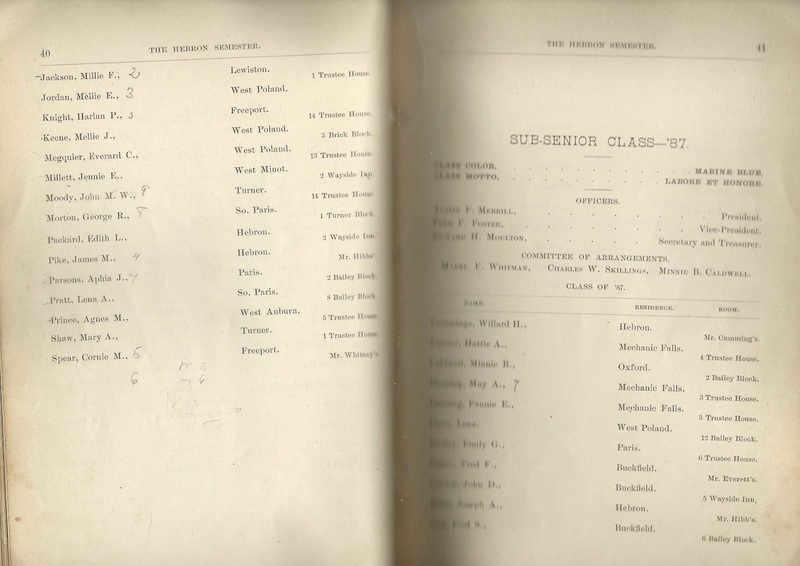 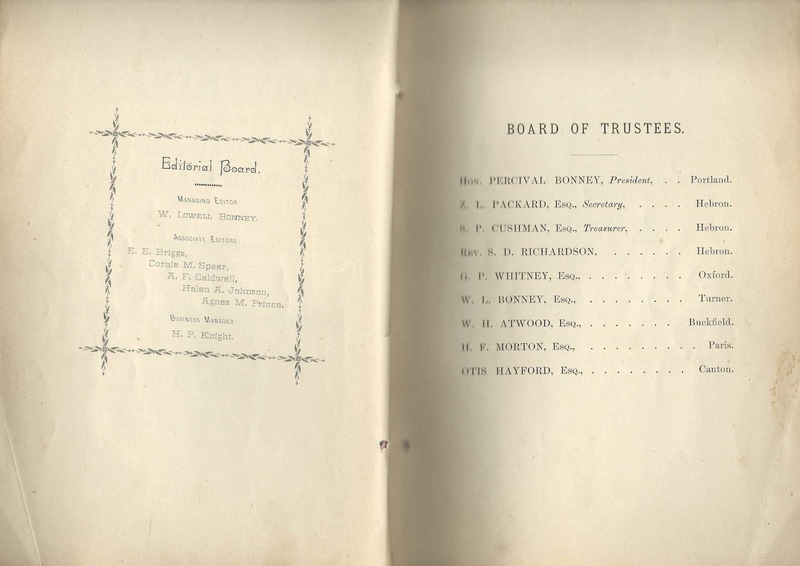 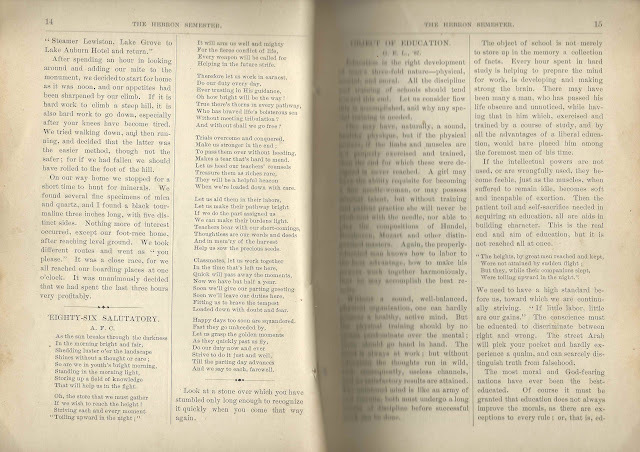 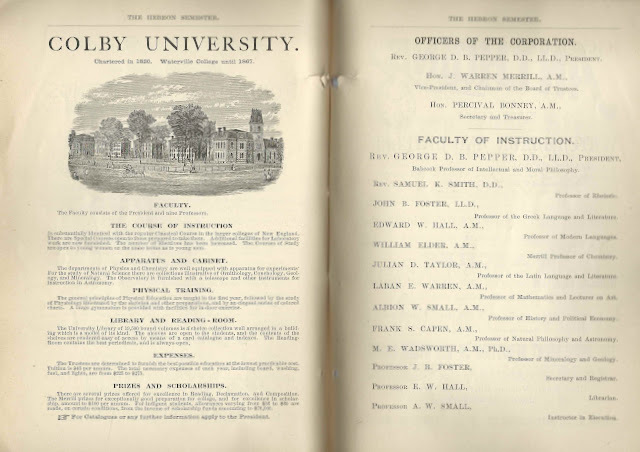 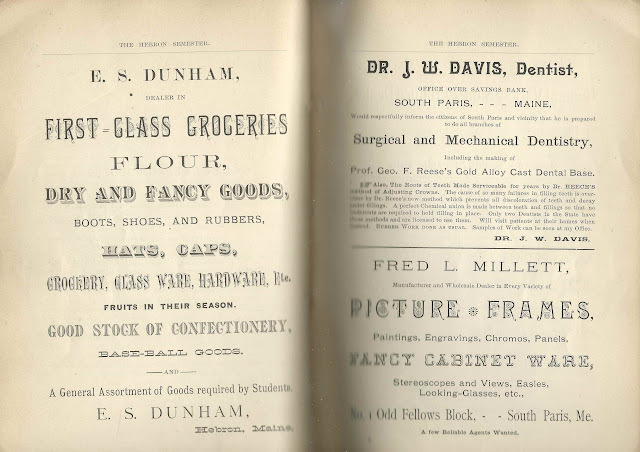 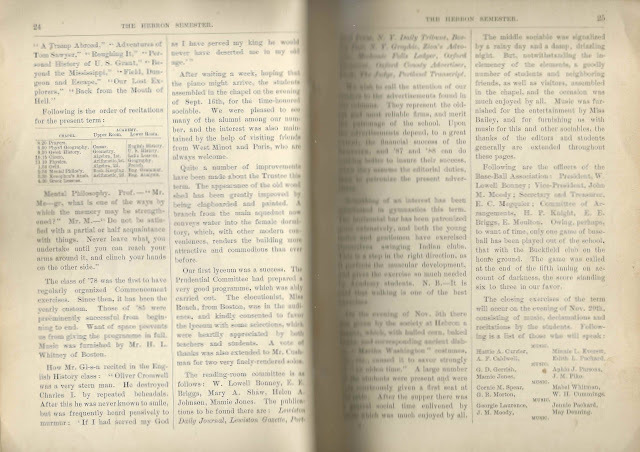 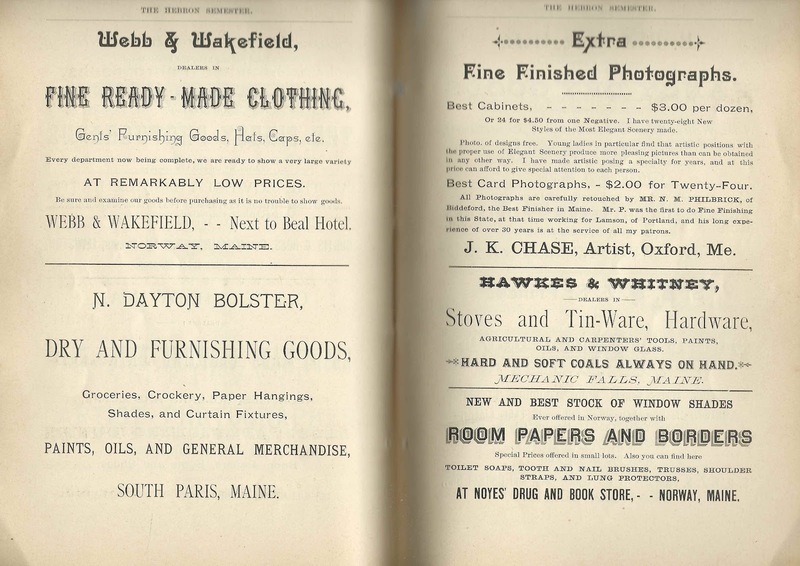 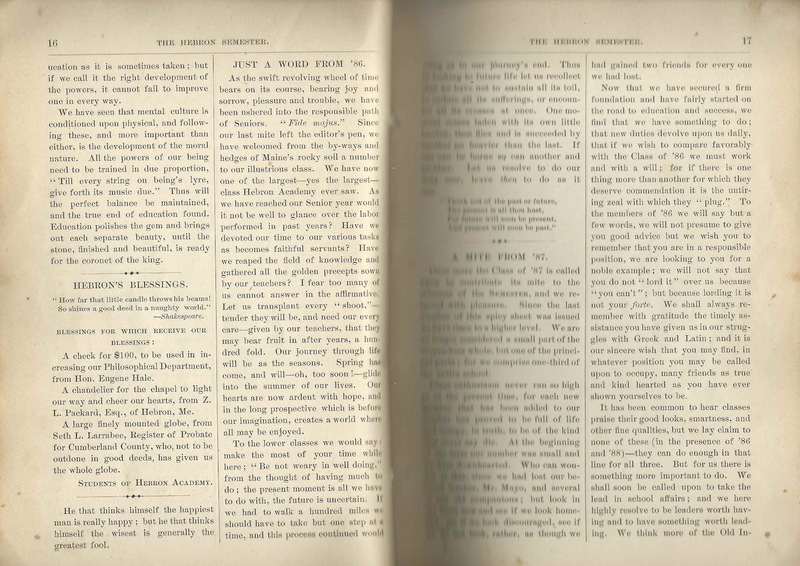 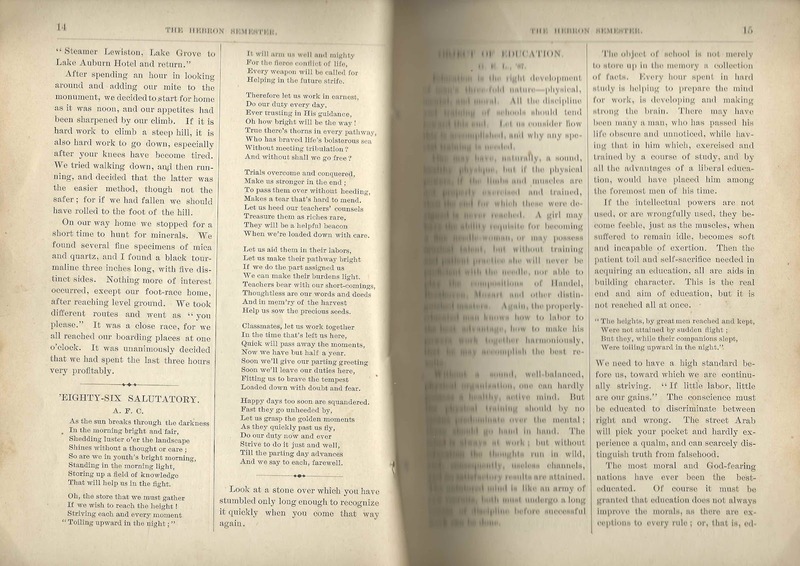 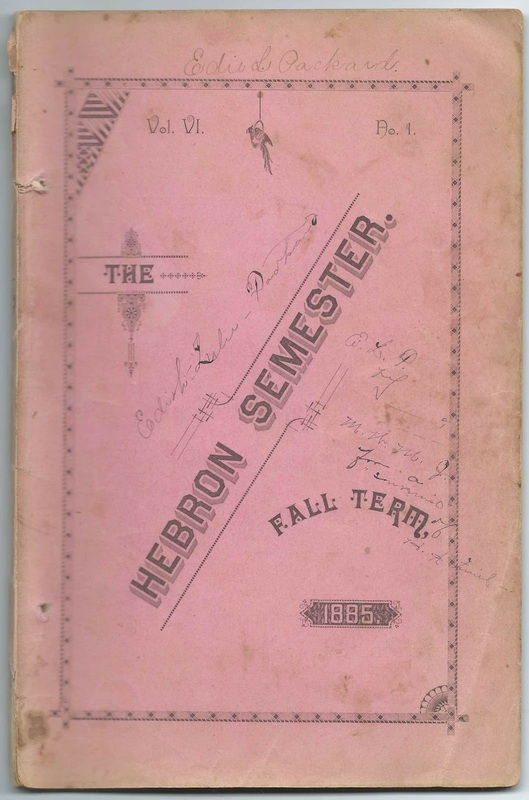 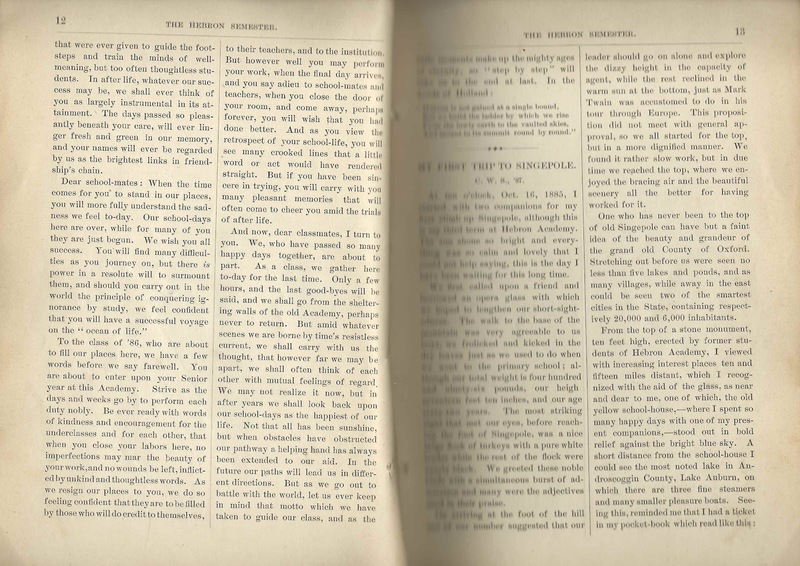 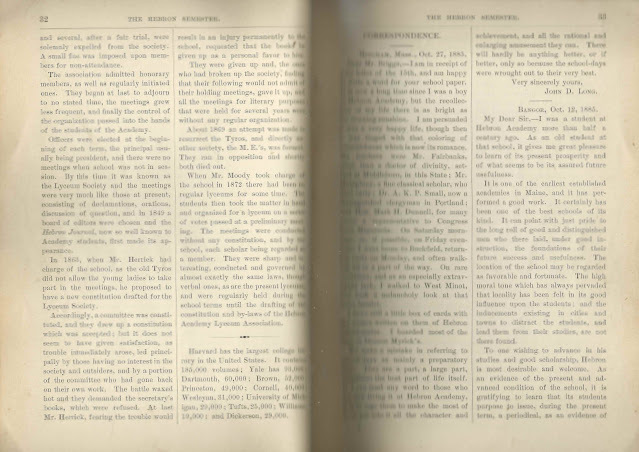 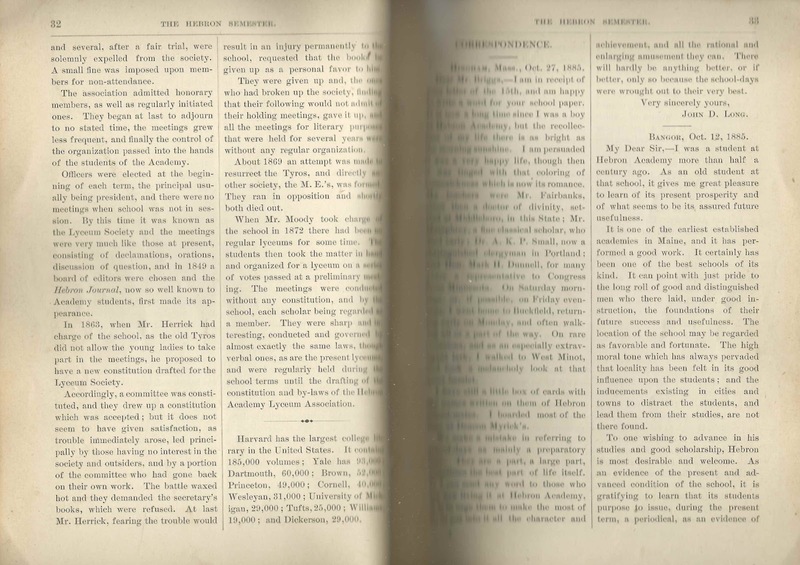 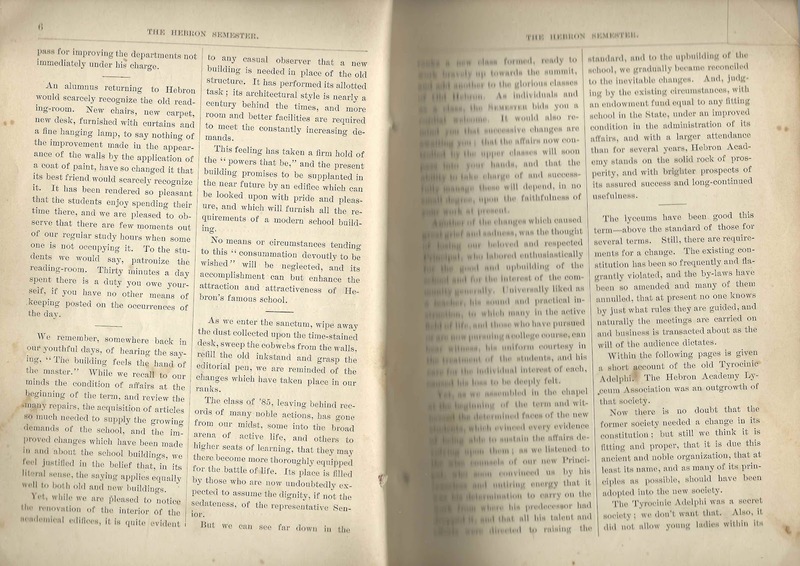 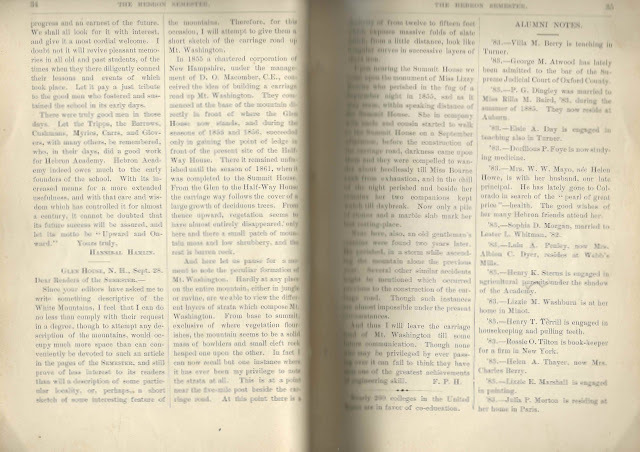 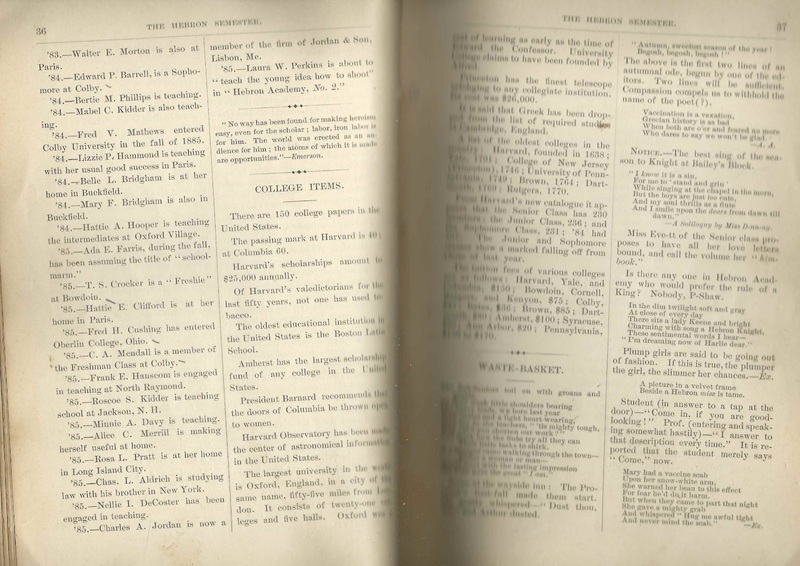 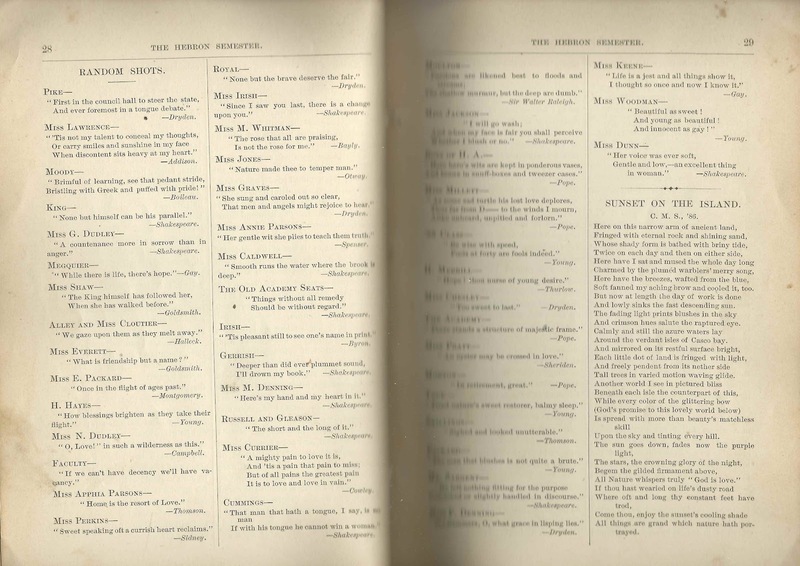 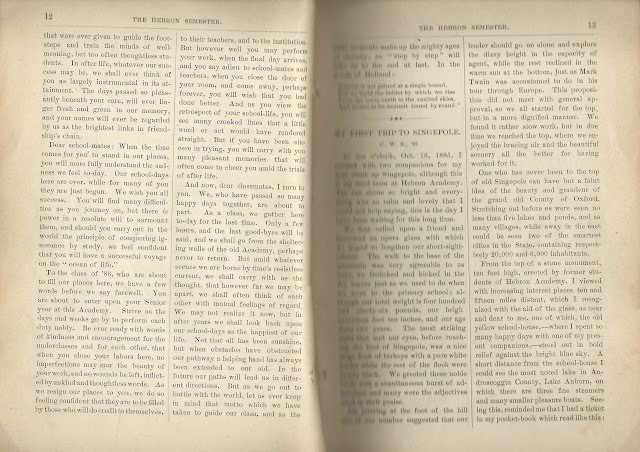 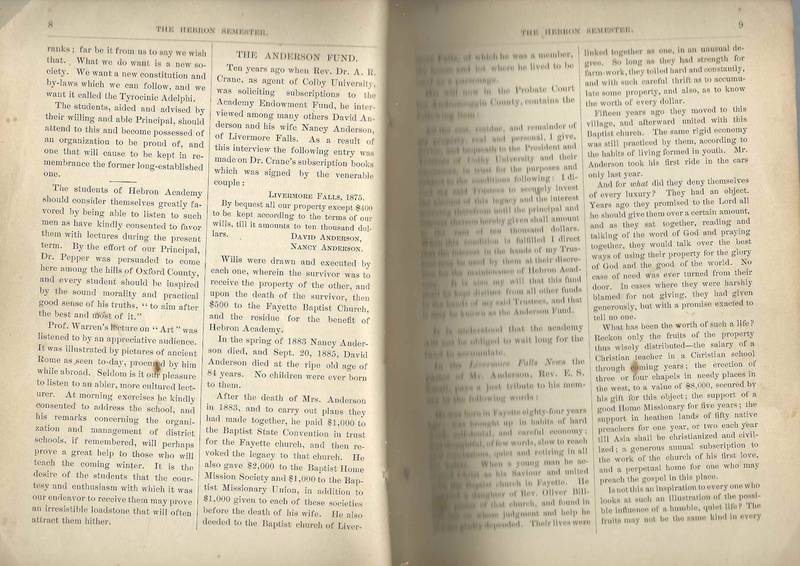 Fall 1885 issue of The Hebron Semester, a student publication at Hebron Academy at Hebron, Maine. 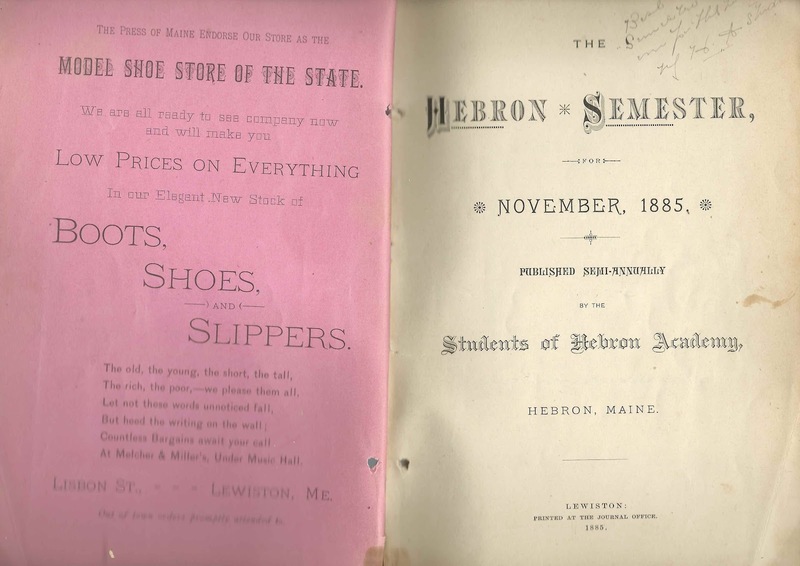 This copy was presumably owned by student Edith Lulu Packard of Hebron, Maine, who wrote her name at the top of the front cover. 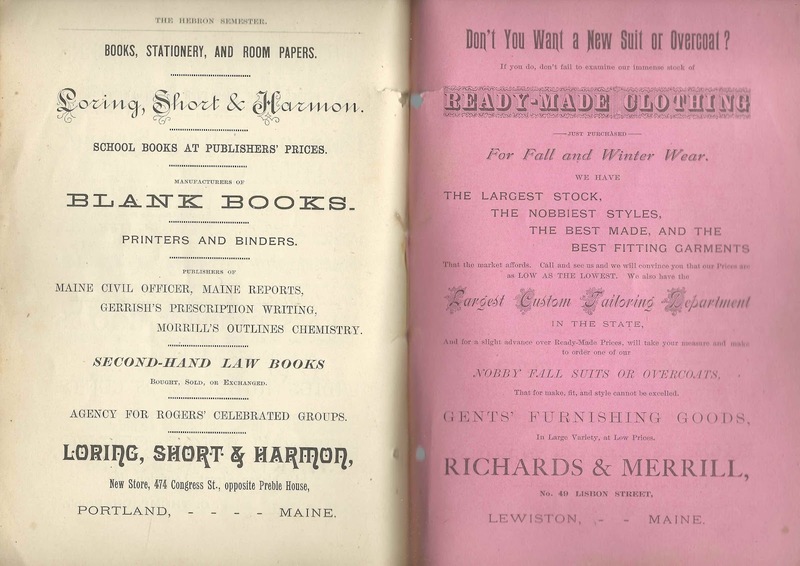 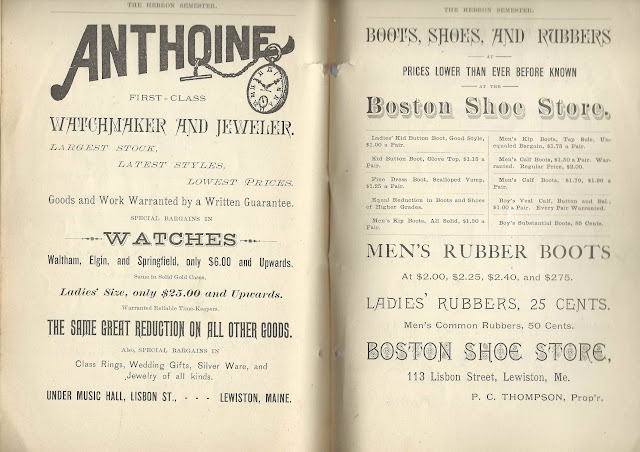 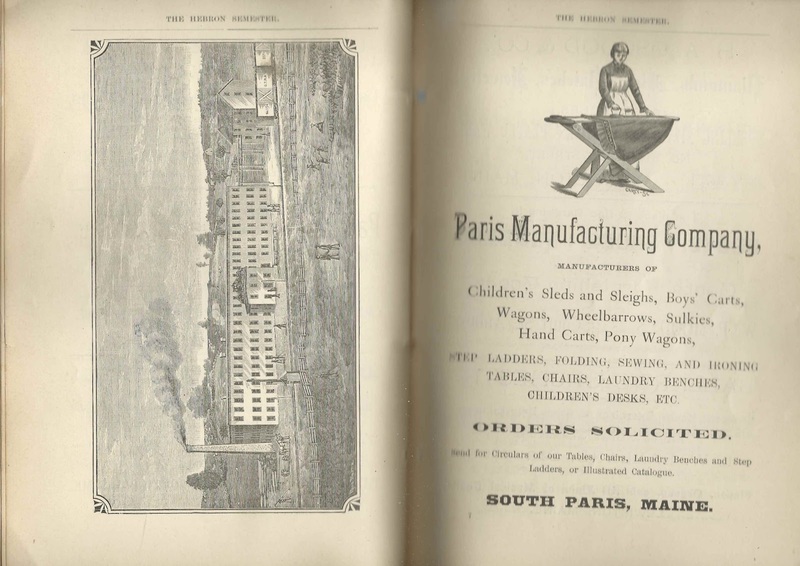 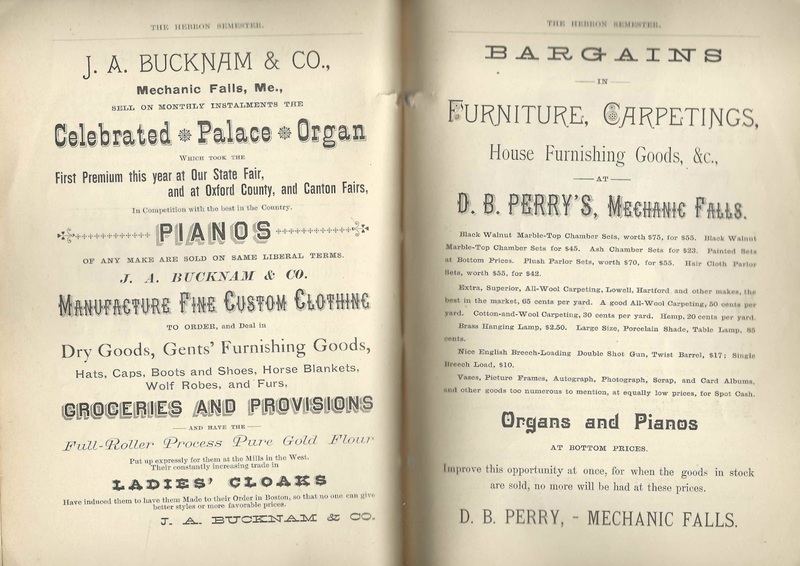 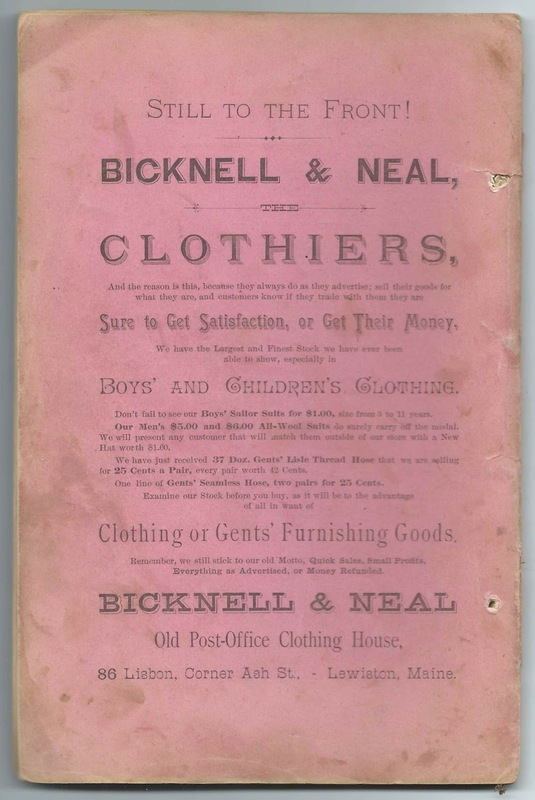 The issue measures approximately 9-1/4 by 6" and contains 47 pages, plus 25 pages of advertising, as well as advertising on the inside front cover, the inside back cover and the back cover. G. D. Gerrish; to provide a musical selection at the closing exercises of the Fall Term on Nov. 20, 1885, page 25; could this be the student John D. Gerrish?